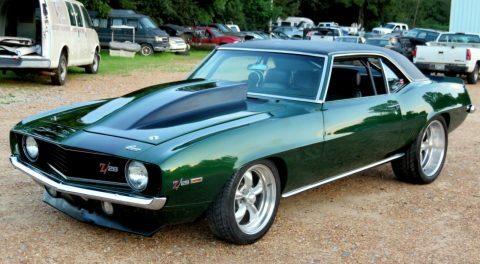 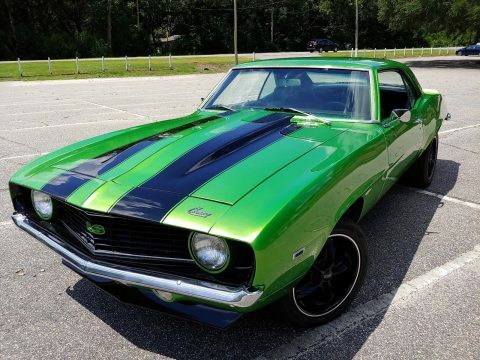 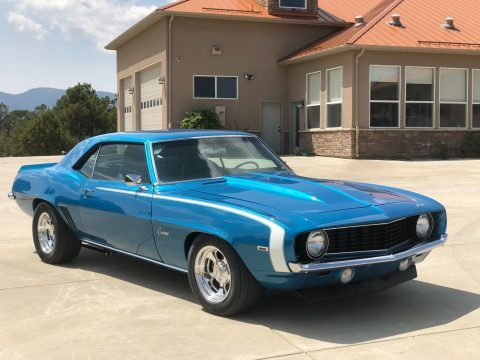 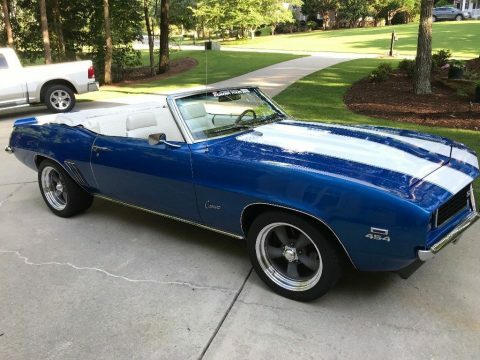 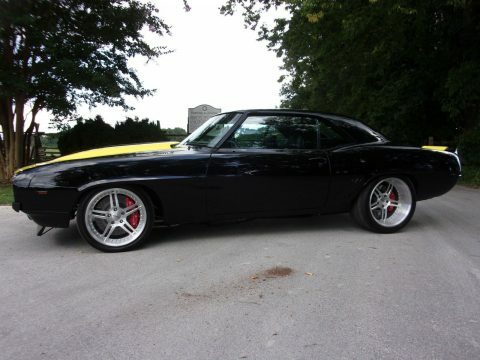 1969 Chevrolet Camaro Pro Touring Restomod. 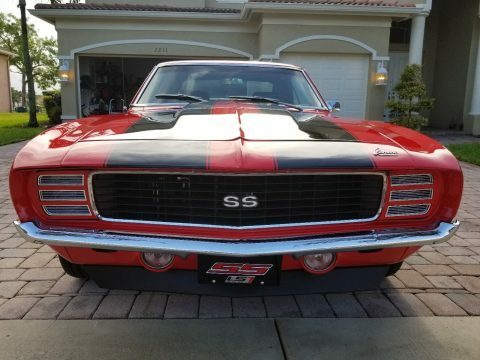 After it’s complete nut and bolt restoration, there has only been 595 miles driven on this beauty. 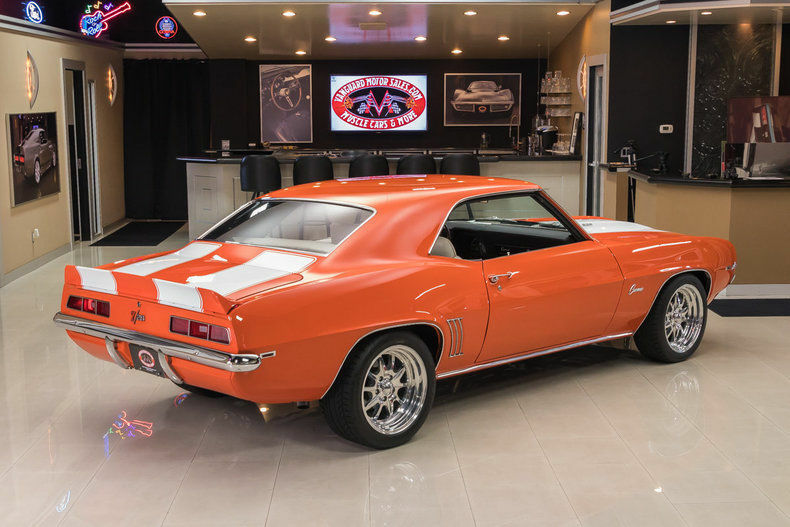 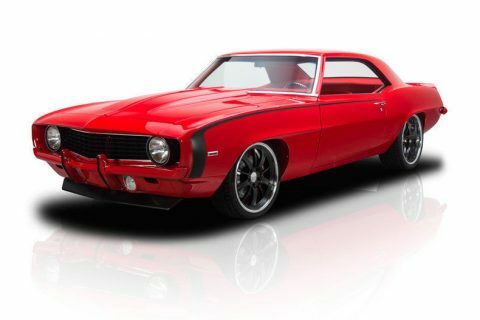 Under the hood sits a Built GM LS1 Fuel Injected V8 producing an estimated 400+hp connected to a Tremec T-56 6-Speed Manual Transmission and GM 12 Bolt Posi Rear End. 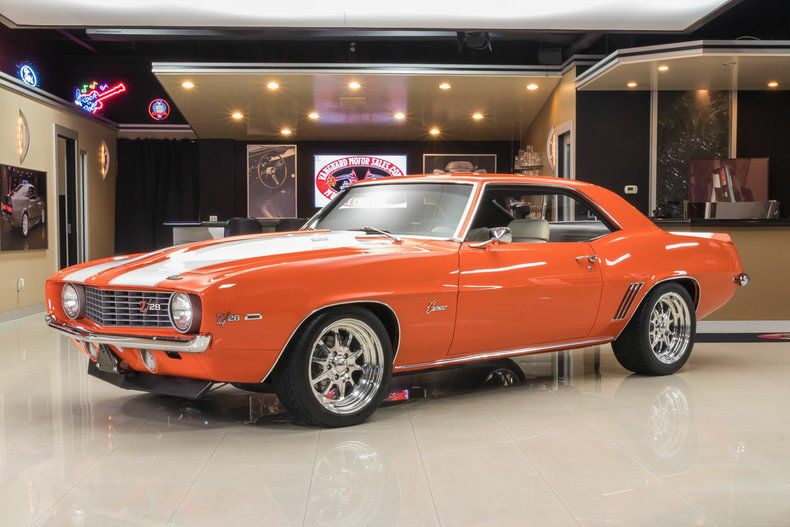 Upgrades include 4-Wheel Disc Brakes, Power Steering, and Vintage A/C that blows ice cold! 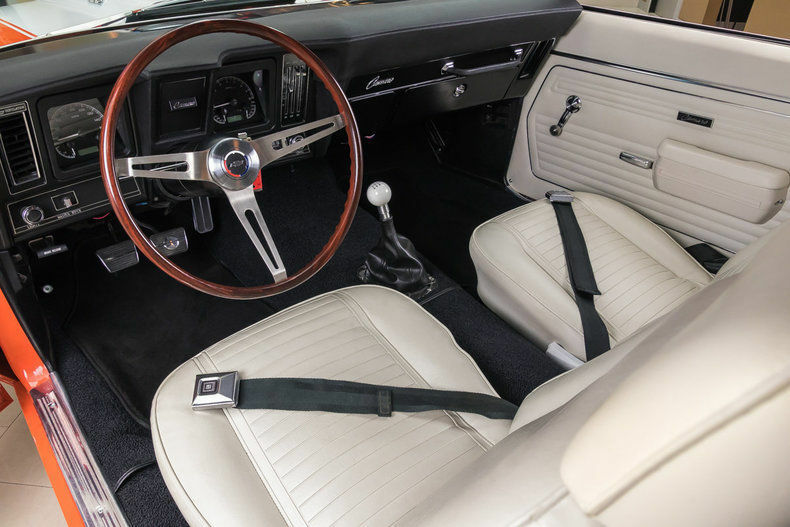 The white rally stripes are buried in the clear so far that you can barely feel them when you glide your hand across this 1969 Camaro. 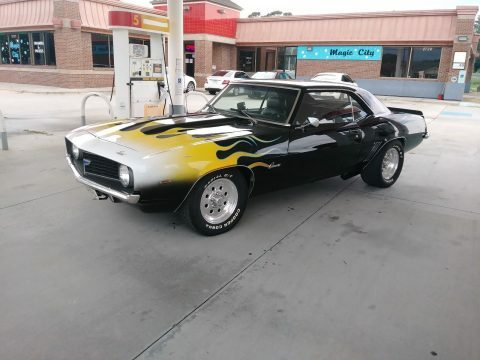 To spice up the interior, inside this Camaro there are all custom Dakota digital gauges in the dash. 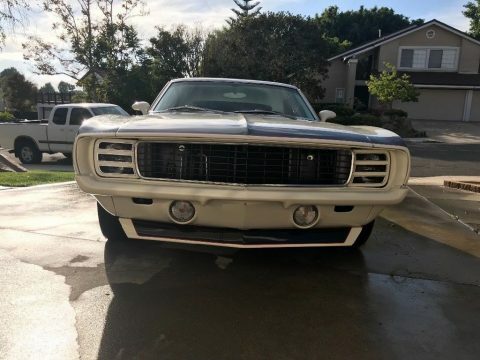 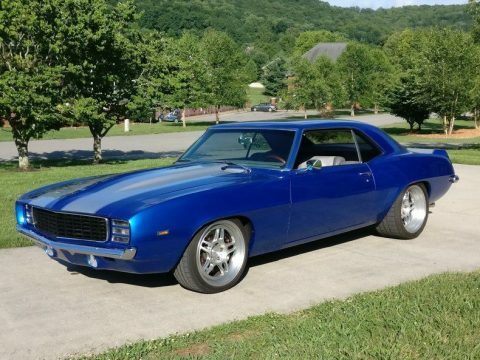 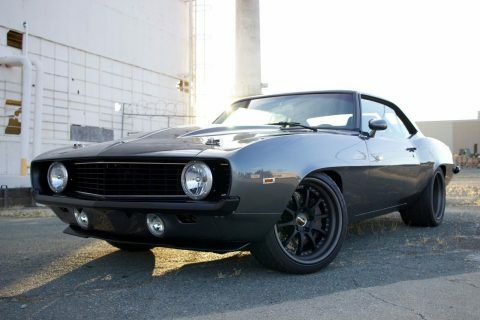 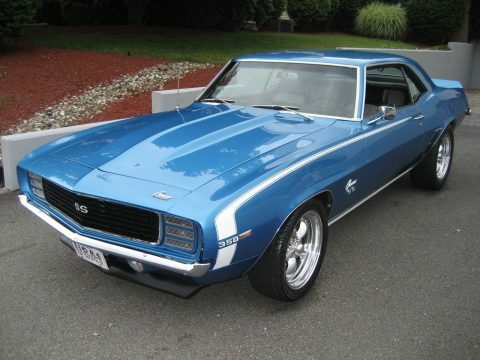 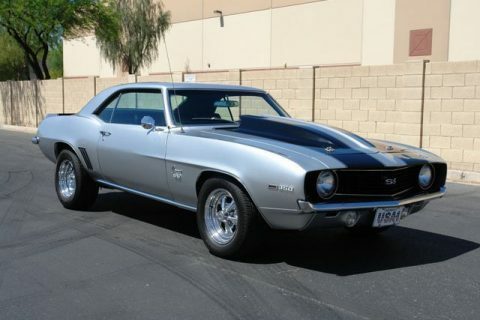 This is one Camaro you can drive anywhere! 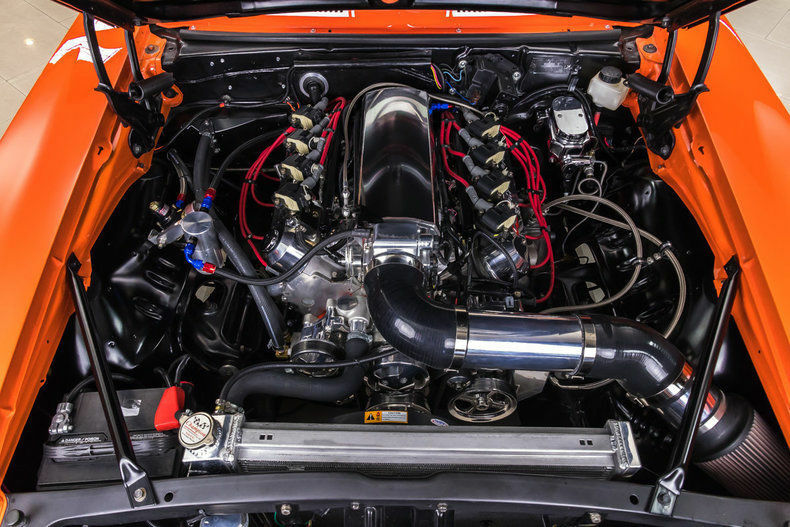 The fuel injected LS1 paired with the 6-Speed Manual Transmission make it a pleasure to own and operate.